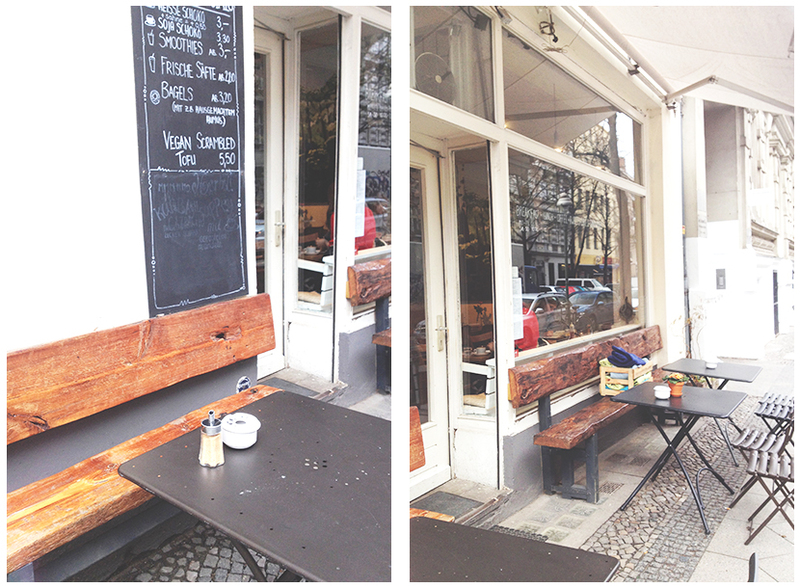 This week, I traveled to Kreuzberg for a lunch date with Marlon. 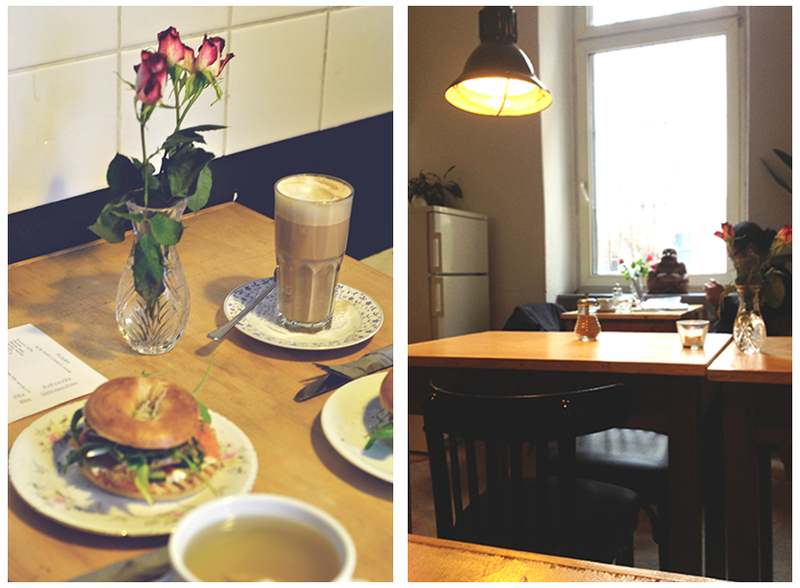 Once we arrived in the Greafekiez, we stumbled upon a lovely looking cafe: Floor’s. The cafe stands out from the other, more rough looking cafes, pubs, bars and hamburger joints. With a bright white sunscreen, and hardwood benches on their terrace, Floor’s is looking way more charming than her neighbors. My heart skipped a beat when I read the lunch menu: bagels! I was really craving for them that day. I chose the bagel with salmon and cream cheese. Marlon ordered a bagel with just cream cheese. Our coffee and tea came with a cookie. “Wow” I thought, “that is actually so Dutch” (almost everywhere in the Netherlands you will get a free cookie with your warm beverage). The penny eventually dropped, when I visited their Dutch-themed restroom! 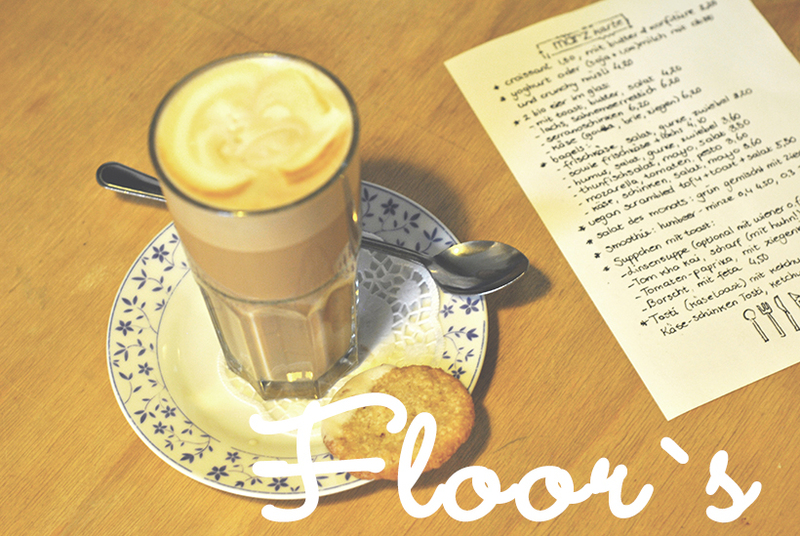 Floor’s is indeed managed by two Dutch people, Florentina and Bram. 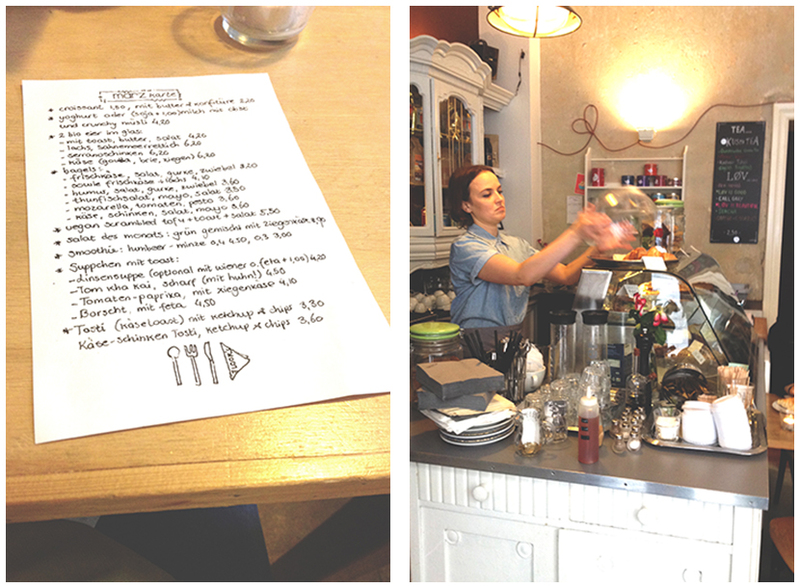 I found out later that they serve typical Dutch cherry pie. Besides this pie, I could not discover any other Dutch specialties. The interior looks nice and clean, their elegant counter showcases yummy looking cakes and snacks. The cafe consists of 2 separate rooms. The first one, in the front, looks more cozy than the room in the back, where there’s a fridge and plain walls. The good thing about this room is that’s quieter, which makes it a perfect place to read or work on your laptop. The bagels we ordered were tasty, I have no doubt that the other options on their menu are good as well. Service is friendly and fast. Next to this, they serve a pretty mean coffee (including a cookie! ), I seriously recommend Floor’s.